Elegant white rose stems were placed on each chair at the table for this baby shower at Le Meridien in Santa Monica, planned by Nam Lam of Modern L.A. Weddings and Deanna Tat of Chic Ambiance. 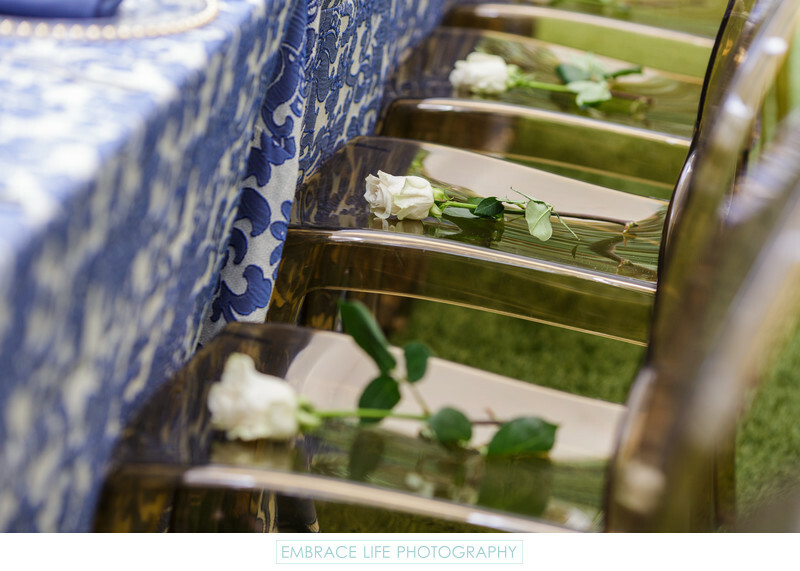 The contemporary amber acrylic chairs are from Line204 event rentals, and the blue and white toile tablecloth was provided by Luxe Linen.